Summer is here, and in our opinion, it just might be the best season for enjoying your car. The weather is nice, the days are long, and you can almost hear the road calling out for you to get out and hit the pavement. With that being said, summer is also one of the most dangerous seasons for driving. Here, we look at a few reasons why. Teen drivers are much less experienced than older drivers, and once school ends and summer hits, they are out on the road in greater numbers than any other time of the year. That inexperience inevitably leads to dangerous situations; teen drivers are far more likely to be involved in an accident than any other age group. While there is nothing in particular you can do to avoid teen drivers, staying aware of the drivers around you at all times is something you should be doing year-round. The warm weather and long days of summer are great for taking your car out for a cruise. They are also the ideal situation for construction projects. Most drivers understandably hate construction, but the truth is, without it, our roads would quickly fall apart. 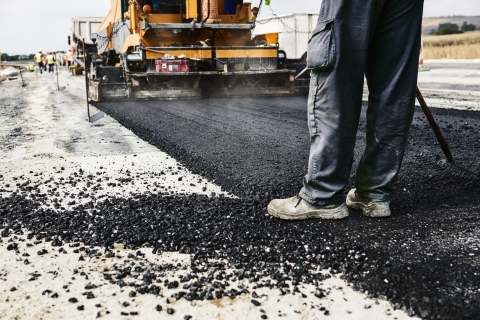 Encountering some form of construction this summer is nearly guaranteed, so make sure to do your best to be aware of the changes in road conditions, speed limits, and detours. Checking your tires for proper air pressure is important year round for a wide variety of reasons. First and foremost, proper air pressure is a safety issue. It is often said that your tires are the most important safety feature on your car. If you think about it, this makes sense. The tires on your car are the contact point between your vehicle and the pavement flying by beneath you at high speeds. Braking, accelerating, cornering...every aspect of driving is fully dependent on your tires being in great working order. In summer, the high temperatures can cause the air in your tires to expand, which can easily lead to a blow-out in tires that are older. Even if your tires are brand new, take time to check them often during the summer. Finally, as summer hits full stride, you are likely to see more bicycles and motorcycles on the road. Sharing the road is an essential part of being a safe and respectful driver. Sharing the road with motorcycles and bicycles makes everything from the simplest lane changes to the most difficult parallel parking jobs much more dangerous. It is important to be fully aware of every motorcycle and bicycle on the road, for your safety as well as theirs. We hope that you’ll take the time to enjoy the road this summer, while staying aware of the unique hazards of driving in the summer. Keep your vehicle in the best shape possible with our great selection of auto parts online. Shop our selection today for all of the Honda and Acura parts you need.